It’s that time of year again and this year and we have a great giveaway that is just waiting for YOU to win it. As part of our belief that it pays to shop local, each and every Friday this November Bookmans Mesa hosts a new contest called Freebie Fridays. This series showcases a different local business every week and offers you a chance to experience parts of Mesa that deserve a broader audience. This last week brings us back to the heart of Mesa, Downtown itself. As a community, we find not only is it about local business but it’s about you too! We have for one lucky winner a $30 gift card that can be used at ANY of these Downtown Mesa Association local business that YOU choose! 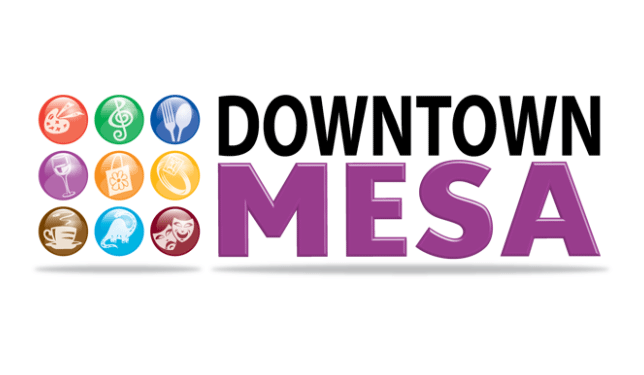 Downtown Mesa Association offers Downtown Mesa Gift Cards. With over 100 participating businesses, from restaurants to museums to auto shops, recipients will get exactly what they want. These gift cards are perfect for out-of-town visitors, employees and anyone who enjoys the Downtown area. We’re betting that’s you. We will allow 72 hours for entries so no excuse for letting this chance pass you by. We’ll select a winner using random.org on Wednesday, November 14, 2018. Winners will receive notification by e-mail sometime on the following day. Comments are moderated and may take some time to appear. Please do not resubmit your comments — one will be plenty. Our belief in strengthening local economies and our partnership with organizations like Local First Arizona is about supporting our community. Please do your part this holiday and learn more about the locally owned businesses and charities near you. Shop Local, Give Local in Arizona. It was always an important day for grandma. She’s gone now, but not really. getting together with family, whether there’s a traditional meal or not. just having the day with your family. I always host Thanksgiving dinner at my home and the food is exactly the way I like it –because I cook everything from scratch. I love all the food prepared and it seems to last for days with all the Thanksgiving work lunches, Friendsgiving’s, family’s houses, and they of course the leftovers!!! Making green bean casserole. It’s a must for this holiday. Being held in high regard by loving friends who enjoy cooking and sharing food!! In my family, it is a time for unity. We put aside politics, religion, beliefs, differences and we come together as a family. Everyday should be Thanksgiving.